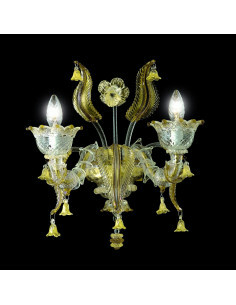 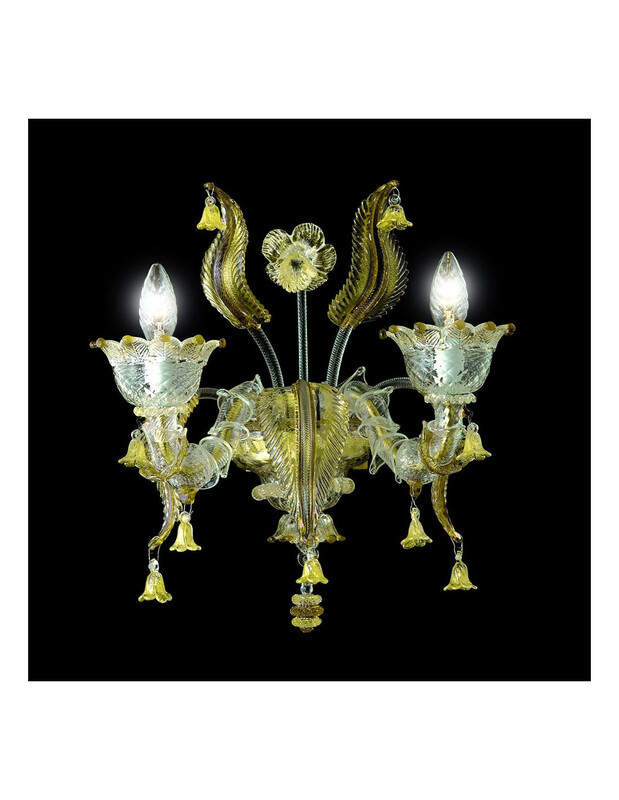 Wall lamp in hand-crafted Murano glass. 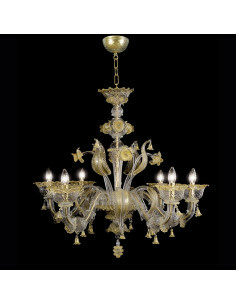 Height: 1 light: 40 cm; 2 lights: 40 cm; 3 lights: 43 cm; 2 + 1 lights: 80 cm; 3 + 2 lights: 82 cm. 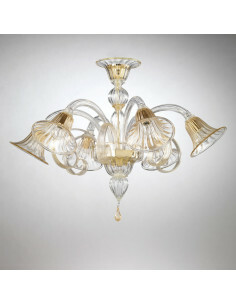 Width: 1 light: 25 cm; 2 lights: 40 cm; 3 lights: 45 cm; 2 + 1 lights: 40 cm; 3 + 2 lights: 45 cm.